The Zambian government has recently announced that the country’s fiscal deficit would be improved by more than 50%, from 8.1% of GDP recorded in 2015 to 3.9% of GDP in 2016 thanks to austerity measures announced by President Edgar Lungu in October, 2015, that count with the support of the International Monetary Fund (IMF). The announced was given by Zambia’s Minister of Finance Alexander Chikwanda, whom in a recent meeting with lawmakers explained that low copper prices hurt the mining sector’s output in 2015 and the country’s trade balance by widening the fiscal deficit as a share of the reduced GDP. According to Minister Chikwanda, the Zambian government is engaged with the IMF in following the guidelines to ensure the implementation of the austerity measures announced by President Lungu that aim at saving the state USD 300 million a year. Among the main austerity measures to be undertaken are a revision of subsidies to food and oil imports, a ban on unnecessary trips by government officials, a hold back on all planned new infrastructure and national airline projects, and a halt in all signed projects for infrastructure development. According to President Lungu, all the infrastructure projects have to be reviewed to ensure that they will be sustainable over time due to the current financial challenges that are still expected to last during 2016. 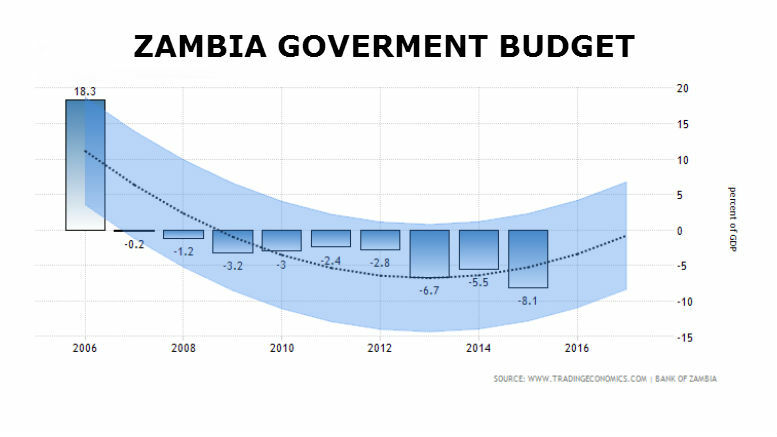 With all the announced economic program and the austerity measures, the Zambian government has improved its expectations over fiscal deficit to 3.9% of GDP in 2016 down from 5.0% forecasted for the same period in 2015. Zambia’s fiscal deficit has increased in the recent years: between 2009 and 2012 it recorded an average of 2.85% of GDP, but grew to 6.7% in 2013 to fall to 5.5% in 2014 and grow again to 8.1% in 2015.